Utopia is working hard at building its Facebook Page and needs your help. If you plan on coming by the store, check in on Facebook first. 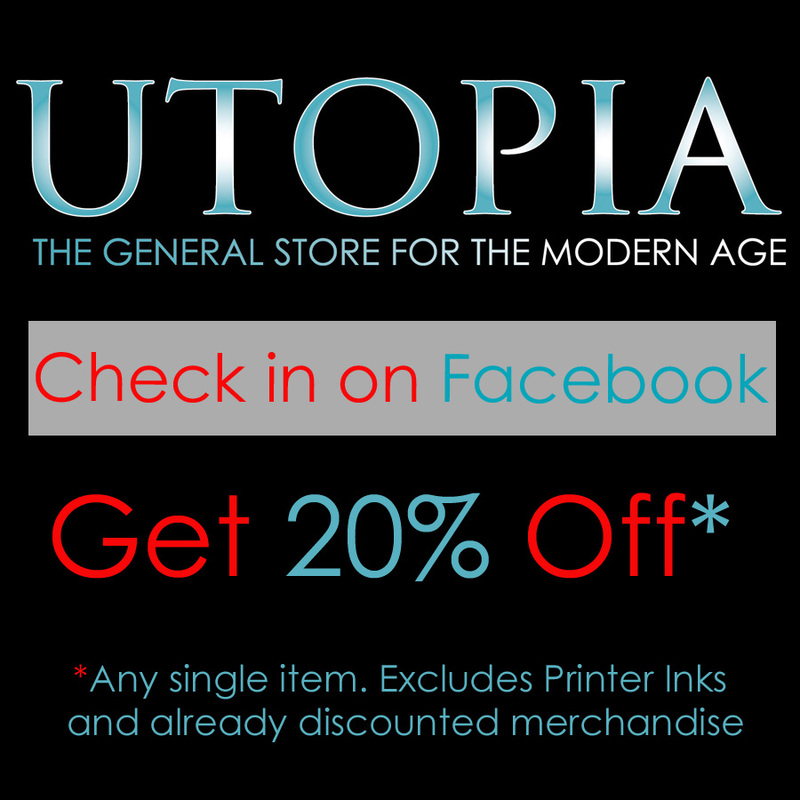 When you do, and you show us your post, you’ll get 20% off any single item in the store (excludes printer inks and already discounted merchandise). If you don’t know how to check in on Facebook, here’s a link that explains it (and don’t worry, it’s easy). We’re reaching beyond Eldorado these days and starting to attract more and more Santa Fe shoppers. Help us tell them why Utopia is worth the trip!